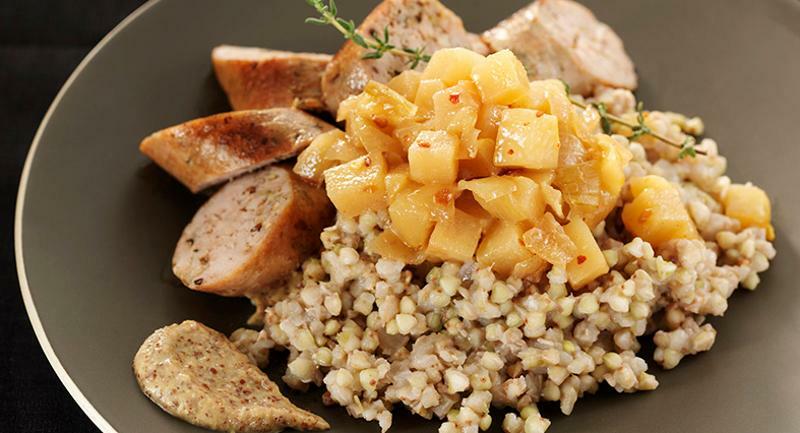 Chefs are exploring a variety of grains to create healthy, flavorful dishes, many of which put plants front and center. 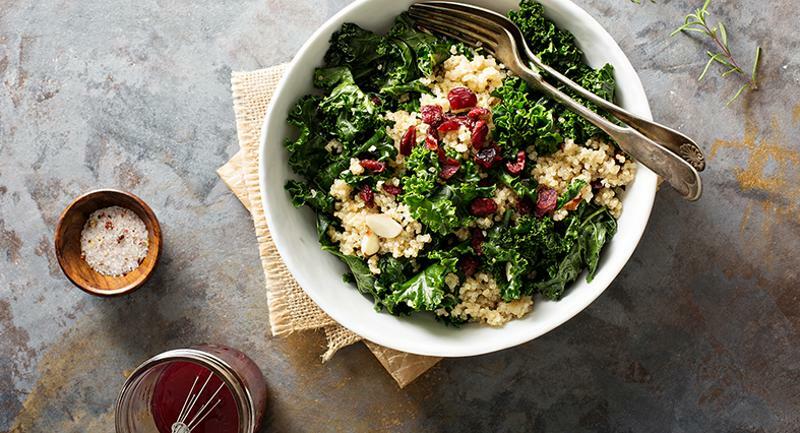 To tap into the trend, start with these five recipes for grain bowls and salads. Menuing a less-familiar grain in a familiar salad is a smart way to win over guests at the salad bar. 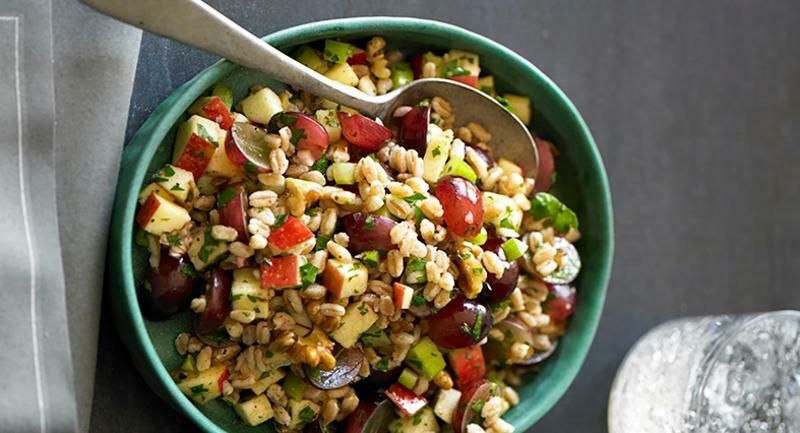 At Yale University, the kitchen uses farro as the base, combining the cooked grain with seasonal apples, grapes and autumn spices. A lemon vinaigrette ties the ingredients together. This item is one of the newer additions to the extensive Market Table at Fogo de Chao, the Brazilian steakhouse chain. 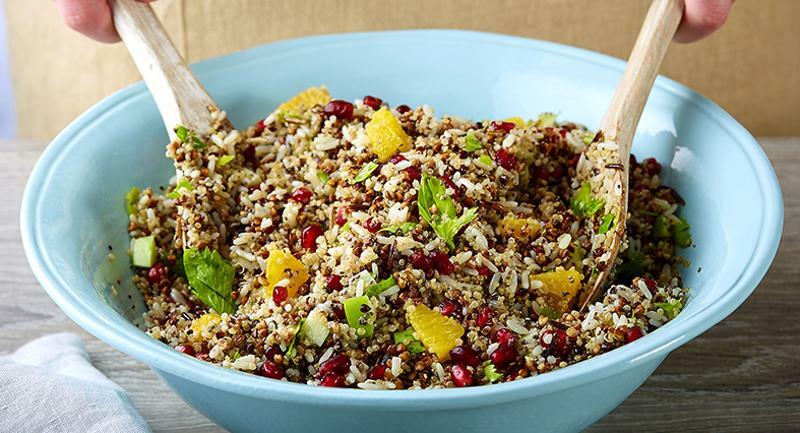 It’s a combo of three grains, including quinoa, kasha and wild rice, with chia and pomegranate seeds added for crunch and color. The ingredients are tossed with a honey-lime dressing before serving. Chef Franz created this recipe when he was chef at the Rattlesnake Club, down the street from his current Detroit restaurant, Atwater in the Park. Instead of the rice called for in traditional risotto, he uses buckwheat groats—a darker, nuttier grain. 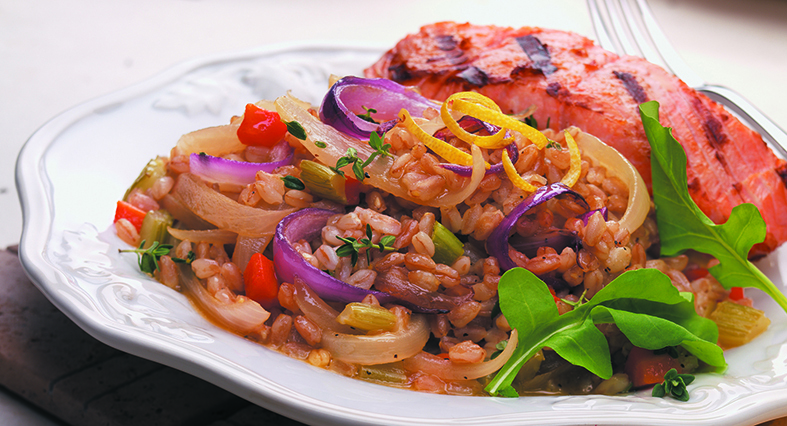 The recipe includes sausage, which can be eliminated if a meatless risotto is desired. A chutney made with pears and onions adds contrasting texture and flavor. Falasophy started as a food truck, driving around Southern California and serving up modern Lebanese street food. 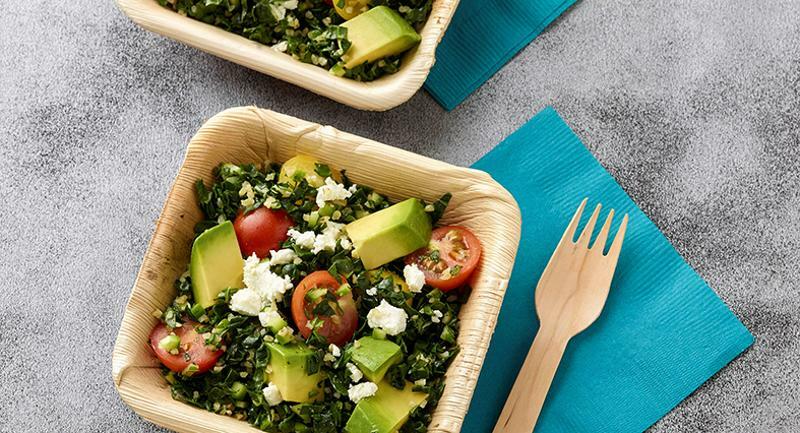 There’s now a brick-and-mortar location of the concept, with a menu offering pitas, wraps, bowls and salads featuring falafel, tabouli, shawarma and other Middle Eastern ingredients. In this recipe, bulgur wheat is the grain that forms the base of the salad. This recipe can be served on a build-your-own-bowl station or as a composed salad. At the Facebook cafe, Chef Mali sometimes plates it as a side, accompanying grilled salmon or chicken.